Ezt a terméket eddig 63 alkalommal vásárolták meg! 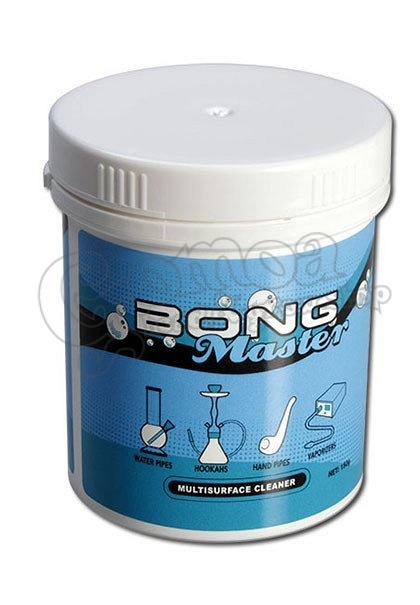 Be safe and clean with Bong Master bong cleaner! The Bong Master Bong & Pipe Cleaner is Earth Friendly - no fumes and no aftertaste once you've cleaned your bong or pipe. Bong Master Bong & Pipe Cleaner can be used to clean pipes or bongs of all materials including glass, ceramics, metal and plastic. It will not leave any unwanted residue and it is non-toxic. Use two teaspoon of Bong Master mixed with warm water and fill it in the pipe. Shake well and let it stand for 5 minute. Rinse well with clear water. For best results, use regularly. For heavily tarred bongs or pipes, mix Bong Master Bong & Pipe Cleaner with hot water.